I was introduced to photographer Giorgio Possenti from the fab blog La Boheme, and my oh my does this guy photograph incredible spaces! 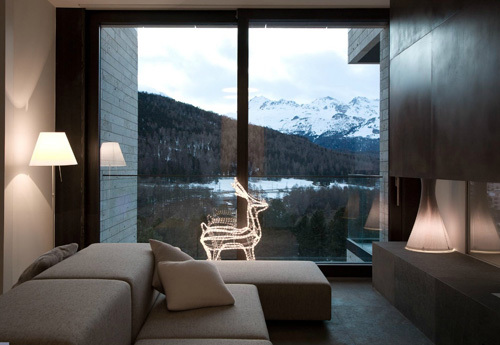 Extra wall sofa and a reindeer. 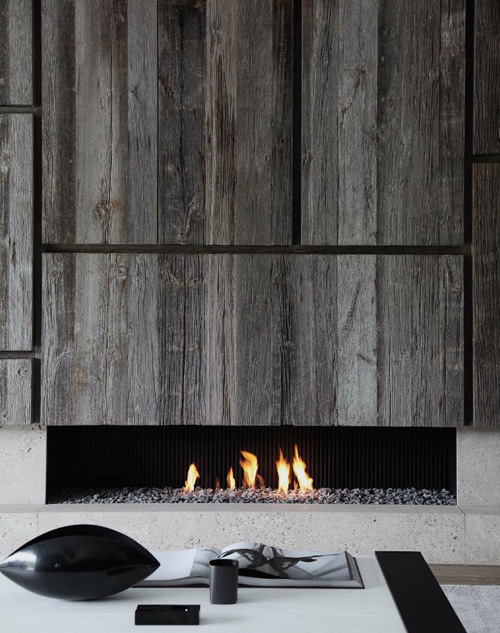 Love this fireplace with the reclaimed wood above! 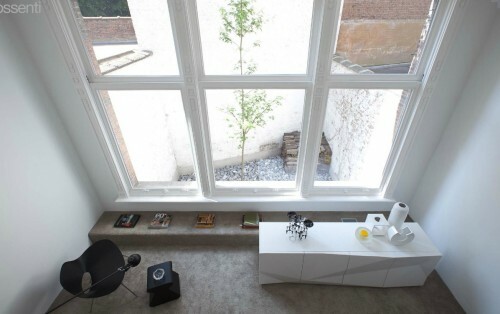 Warm and cozy yet minimal at the same time. This is so stunning…all perfect. 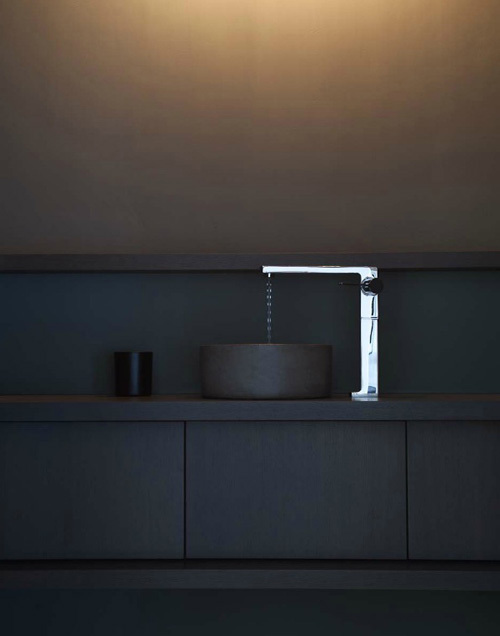 Dornbrach LuLu faucet. Sheepskin on benches…yes. Louis Poulsen PH5 pendant. 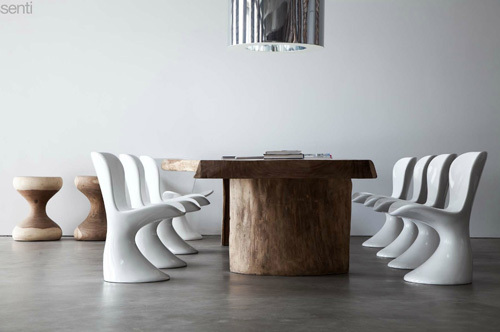 Gorgeous with the slab undulating wood table and the white feminine chairs. you had me at sheepskin…and cozy and minimal…very cool. i also love the reclaimed wood fireplace wow!